Rocky Haire Injury Lawyers is a personal injury and wrongful death law firm representing clients involved in 18-wheeler wrecks, crashes involving cars, trucks and aircraft, and injuries from dog bites to oil, gas and construction site accidents. When Texans need an attorney they know, like and trust, they go to Rocky Haire Injury Lawyers because Rocky Haire has a reputation for helping the people at the mercy of big insurance companies and businesses. Rocky Haire is a Denton County native with a passion for justice, who fights for our family, friends and neighbors. Rocky Haire Injury Lawyers provides skilled legal representation to individuals and their families seeking compensation for injuries caused by the fault of another. The firm has fluent Spanish-speaking staff, highly knowledgeable personal injury paralegals and a 24-hour answering service. A long leader in defending the rights and dignity of Texans, Rocky Haire, founder of Rocky Haire Injury Lawyers, recently opened the doors to their new Denton office located on Dallas Drive next to Frenchy's Lawn Service. Rocky Haire Injury Lawyers is a personal injury and wrongful death law firm representing clients involved in 18-wheeler wrecks, crashes involving cars, trucks and aircraft, and injuries from dog bites to oil, gas and construction site accidents. "We all deal with bullying; it takes place in real life, beyond school playgrounds," said Rocky Haire, founder of Rocky Haire Injury Lawyers. "I was originally drawn to criminal defense because the state was so much bigger and more powerful than the accused. Sometimes a bully. Then I saw insurance companies harming people who could never fight them and win. Big time bully." Rocky Haire Injury Lawyers represents individuals and families seeking compensation for injuries or death caused by the negligence or carelessness of another. "We are small enough to provide personal service to our clients and have the experience and resources to handle big cases." Haire said. Dentonites cannot miss the pink building on Dallas Drive, the new location of Rocky Haire Injury Lawyers, where On The Cuff Embroidery operated for many years serving the community with everything from monogrammed caps and hats to custom t-shirts and corporate apparel. Denton area residents know the pink building next to the Frenchy trucks. "The well-known and highly visible location on Dallas Drive is the perfect spot for our personal injury law firm, making it easy for clients to find our office," Haire said. 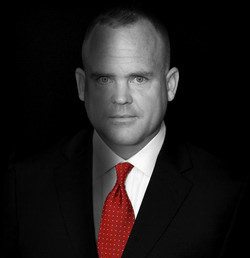 Principal attorney and founder of Rocky Haire Injury Lawyers in 1996, Rocky Haire is a native Texan, born and raised in Denton County, who knows the Denton, Fort Worth and Dallas legal communities like the back of his hand. "We know the judges, the prosecutors and the lawyers in the area. Like our clients, we take pride in our children, our church and our work," Haire said. "We understand the concerns of our fellow-Texans when they have been injured, and we work to make the process of recovering compensation for injuries as easy as possible. We do know what you are going through, and are there when you need us." Life-long residents of Texas and graduates of Texas law schools, our Denton-Dallas-Ft. Worth personal injury / car accident attorneys, Rocky Haire, knows the Denton and Dallas/Ft. Worth community. We know the judges, the prosecutors, and lawyers in the area. Like our clients, we take pride in our children, our church, and our work. We understand the concerns of our fellow-Texans when they have been injured, and we work to make the process of recovering compensation for injuries as easy as possible. We do know what you are going through, and we are there when you need us.